HGA is pleased to welcome Bita Salamat, AIA, LEED AP, as Associate Vice President and Corporate Interiors Principal in the Los Angeles office. She will focus on business development, client relations and workplace strategies to grow the Corporate Interiors Group. “This is an exciting opportunity to help expand the office’s Corporate Interiors services for leading clients throughout Los Angeles and contribute to HGA’s firm-wide legacy for impactful design,” Salamat said. Salamat has more than 25 years’ interior design experience focusing on tenant improvements, workplaces, corporate headquarters and corporate campuses for such leading clients as Google, AEG, Deckers Outdoors Corporation, CBS, Intuit, and AwesomenessTV. 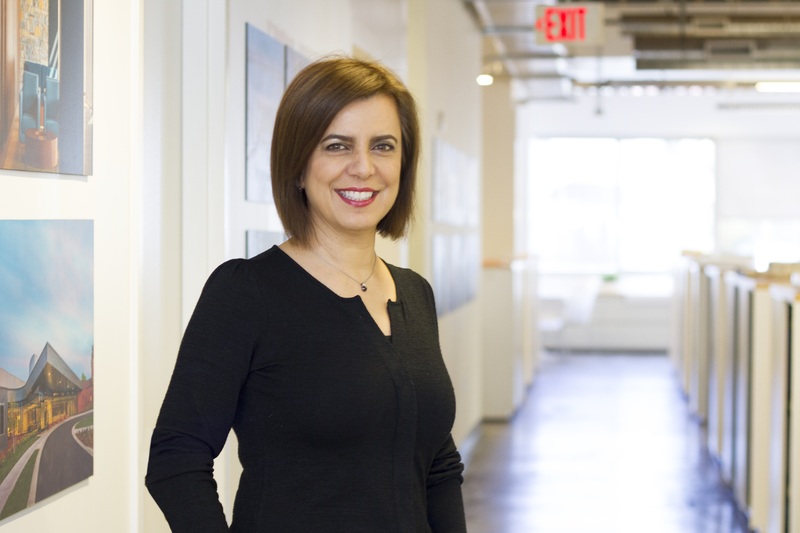 Her expertise includes interior architecture, workplace strategy, and sustainable design. Before joining HGA, Salamat was with Skidmore, Owings & Merrill in Los Angeles, where she was Interior Design Management Leader. Previously, she was with HLW International in Santa Monica, where she was Principal leading the Interiors Practice in Los Angeles. Salamat has a Master of Architecture and Bachelor of Science in Architecture from the University of Maryland. She is registered architect in Maryland, Virginia, and the District of Columbia.